Psoriatic arthritis is a medical condition where arthritis or joint inflammation occurs in tandem with inflammation of the skin called psoriasis. 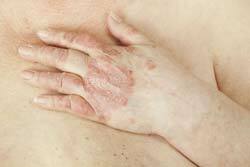 Psoriasis is a precursor to developing psoriatic arthritis. But there are cases where the disorder developed in the absence of psoriasis and where arthritis pre-dated the development of psoriasis. Psoriasis is a skin condition resulting in patches of inflamed and reddish skin, sometimes with white scales, generally in the elbows and knees and the extremities of the body. Nails are also affected and they may disintegrate, become ridged as well as jagged, and in some cases, drop off from the nail bed. Arthritis is a condition of joint inflammation chiefly characterized by swelling, redness, and pain in the affected joint. When the two exist simultaneously in an individual, the condition is termed as psoriatic arthritis. 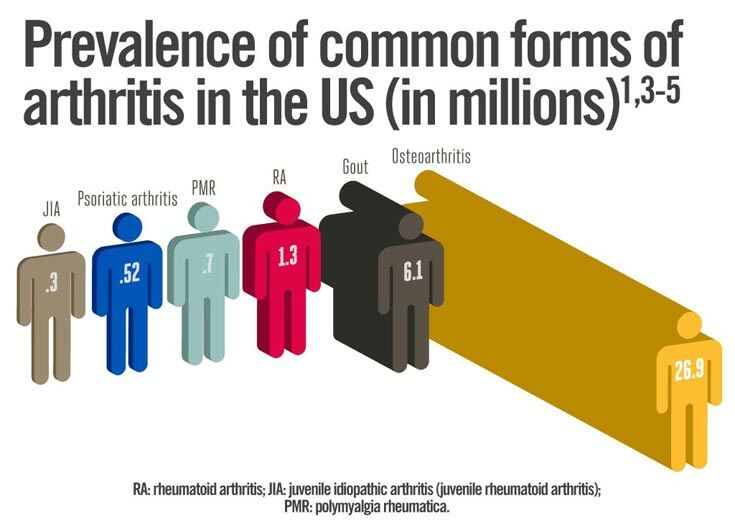 More than half a million (0.52 million) people in the US are affected by Psoriatic arthritis1. In Canada, its prevalence is about 0.3% to 1% of the population2. Among the patients with Psoriatic arthritis, Oligoarticular symptoms are more prevalent. However with time 20% of the PsA (Psoriatic Arthtits) affected people develop symptoms of Polyarticular disease2. Symmetric Arthritis: It affects the same joints on both sides of the body such as our left and right knees, left and right wrists, etc. Asymmetric Arthritis: Asymmetric arthritis can affect any joint, such as the knee, hip, ankle, or wrist. Enlarged “sausage-like” fingers with other warm, red joints are its common feature. Distal Interphalangeal Predominant (DIP): It involves the distal joints of the fingers and toes especially the joints closer to the nails and may occur in 5% of the PsA patients. Spondylitis: Spondylitis is inflammation of the spinal column. Symptoms include (stiffness of the spinal vertebrae, neck and lower back) make motion painful and difficult. Other important joints of the body may become affected too. Arthritis Mutilans: Arthritis mutilans is a severe, deforming, and destructive form of psoriatic arthritis. Pain in the lower back or neck, inflammation in the joints of the fingers and toes are its common symptoms. It affects less than 5% of the PsA patients. How to Recognize, Diagnose and Classify Psoriatic Arthritis? Dactylitis or inflammation of the fingers and toes may also be observed in most cases, along with changes in the nail such as chipping off, ridging, cracking, and the loss of the nail. Inflammation of the backside of the heel and the bottom of the foot may also be observed. Diagnosis is based on detecting both psoriasis and arthritis, while eliminating other factors causing similar symptoms. Blood tests and joint fluid tests are done to eliminate the possibility of rheumatoid arthritis and other arthritic conditions like gout. Blood tests may also reveal the presence of HLA-B27, a genetic marker associated with psoriatic arthritis. Symptoms like dactylitis, inflammation of the Achilles tendon, and the bottom of the foot are not found in other types of arthritis. These may indicate psoriatic arthritis. Psoriasis is seen as an incurable chronic disease that stays lifelong. Though no cure had been found, symptoms can be controlled with proper medication and lifestyle changes. For the treatment of psoriatic arthritis, non-steroidal anti-inflammatory drugs are the first choice in reducing inflammation. 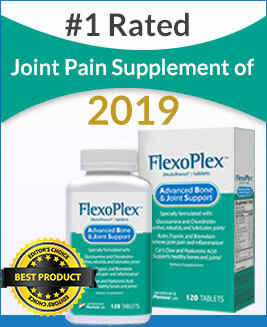 In severe cases, steroidal medications may be administered along with reducing joint pressure by letting out joint fluid from the inflamed joint through a needle. Replacement of joints with prosthetics is done as a last resort when irreparable joint damage is detected. Appropriate exercise also helps improve and maintain the strength of the joints. Prevention is difficult as causes and risk factors for psoriatic arthritis are unclear. Citing a general rule, early detection and prompt as well as persistent treatment leads to better chances of recovery. Drugs that inhibits the function of TNF alpha can reduce the inflammatory symptoms of arthritis. Although there is a fear that immunosuppressant drugs may halt body’s immune reactions to the infection, a recent clinical study in Brazil showed that anti-TNF drugs are pretty safe and the chances of catching diseases like Hepatitis B and C, Chagas Disease and Syphilis are not common4. An antimetabolite, can also inhibit Neutrophil’s function, thus act as anti-inflammatory drug. An Anti-inflammatory drug widely used to treat Rheumatoid Arthritis. Acts by inhibiting the mitochondrial enzyme dihydroorotate dehydrogenase(an enzyme involved in de novo pyrimidine synthesis) and therefore functions as DMARDs as an immunosuppressant drug. Attention: Do you feel you have symptoms of psoriatic arthritis? Well, you can prevent the symptoms by using a joint pain supplement such as Omega XL. This pain relief product is designed to target the root cause thus preventing any symptoms associated with psoriatic arthritis. The FDA has approved the phosphodieasterase-4 inhibitor apremilast (Otezla) for the treatment of adults with active psoriatic arthritis. Approval was based on 3 placebo-controlled studies in 1,493 patients in which apremilast improved signs and symptoms of psoriatic arthritis, including tender and swollen joints and physical function. K. Arthur et al, are working on the efficacy of the drug Apreilast (Clinical trial registration number NCT01172938) an oral phosphodiesterase 4 inhibitor. The researchers have found some efficacy of this drug and have already reached Phase-3. t week 16, significantly more apremilast 20 mg BID (31%) and 30 mg BID (40%) patients achieved ACR20 versus placebo (19%) (p 0.001). Significant improvements in key secondary measures (physical function, psoriasis) were evident with both apremilast doses versus placebo. Across outcome measures, the 30-mg group generally had higher and more consistent response rates, although the statistical comparison was not conducted. Researchers so far have come up with the result that Apremilast was effective in the treatment of psoriatic arthritis, improving signs and symptoms and physical function.Apremilast demonstrated an acceptable safety profile and was generally well tolerated. However the most common adverse events with this drug were gastrointestinal and generally occurred early, were self-limiting and infrequently led to discontinuation. No imbalance in major adverse cardiac events, serious or opportunistic infections, malignancies or laboratory abnormalities was observed. Another research published by the Americal College of Rheumatology, conducted by Kavanaugh A and his colleagues that Golimumab, a drug that was administered subcutaneously has been shown to be effective in reducing the signs and symptoms of active psoriatic arthritis (PsA) through week 24 of the GO-REVEAL study. A total of 405 patients were randomized: 113 to placebo and 146 each to the golimumab 50 mg and 100 mg groups. Radiographic benefit was maintained through week 52 with golimumab. Clinical efficacy, including improvement in joint and skin responses and physical function, was maintained through 1 year. The researchers have concluded with the result that treatment of PsA with golimumab inhibited structural damage progression and demonstrated continued clinical efficacy and safety through 1 year. Simponi inhibits radiographic progression in psoriatic arthritis. 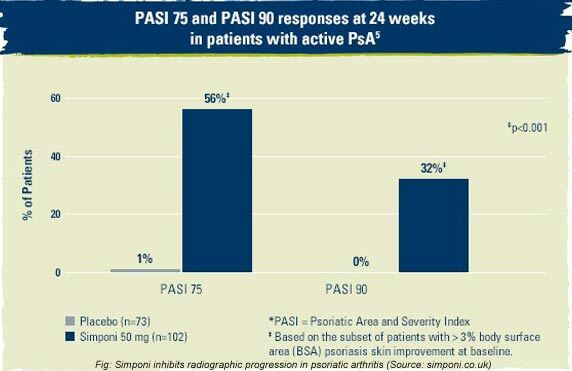 Studies have proved that Compared to placebo, Simponi 50 mg significantly inhibited radiographic progression in the hands and feet, as assessed by the van der Heijde-Sharp (vdH-S) method modified for PsA at week 24. This benefit was maintained out to week 52. There are some ongoing clinical studies on Tofacitinib conducted by the giant pharmaceutical company Pfizer. This is a 12 month study investigating the effectiveness and safety of tofacitinib in treating the signs and symptoms, improving physical function and preserving bone structure in patients with active psoriatic arthritis and had inadequate response to a traditional, non-biologic disease modifying anti-rheumatic drug. Adalimumab is used as a comparator. Read Vital 3 Review, as this supplement may also help to alleviate joint pain. A combination of arthrodesis, arthroplasty, and bone grafts. A clinical trial with 200 patients of the the Leeds Institute of Rheumatic and Musculoskeletal Medicine, Chapel Allerton Hospital in Leeds, showed that an aggressive strategy to cure the Psoriatic arthritis is better strategy to manage the symptoms of this disease. This trial was conducted by Dr Helliwell and his colleague Dr Laura. They compared intensive early treatment carried out in specialist clinics with the kind of care that patients usually receive, to find out which group of patients does better over a year. “We predicted that a tighter, more aggressive treatment of psoriatic arthritis, in which patients are given escalating dosages of drugs if their condition is not responding, and see a specialist every month with the aim of controlling their symptoms fully and as soon as possible, would result in a good outcome after 12 months,” explained Dr Helliwell. Apart from non-steroidal and anti-inflammatory drugs, disease-modifying antirheumatic drugs (DMARD) are also used to control arthritic attacks. These types of drug work to reduce the rate at which the disease progresses, rather than simply reducing inflammation. These can be helpful in limiting the joint damage and subsequent deformities caused by repeated arthritic attacks. Since psoriasis is an autoimmune disorder, immunosuppressant medication can help reduce the effects of the disease, but at the cost of dulling the immune system. This reduces the body’s natural defenses against foreign body invasions. Medications inhibiting the protein, tumor necrosis factor (TNF) can help treat severe cases of psoriatic arthritis by not allowing the formation of TNF which causes inflammation. All these pills come with severe side effects, both short and long-term, some even life threatening. So, the risks involved must be assessed by your physician before starting their intake. There is no cure for lupus though it can be treated for its symptoms. This treatment comes at the cost of weakening the immune system, leaving the body open to microbial attacks and infections. Cardiovascular diseases: About 58% people with severe psoriasis are more likely to have a major cardiac event and 43 % more likely to have a stroke. Diabetes: According to a 2012 study. People with severe psoriasis are 46 percent more likely to have type 2 diabetes. Depression: One study estimates that approximately one-fourth of people with psoriasis has depression attack. Other diseases: obesity, metabolic syndrome and other immune-related conditions such as Crohn’s disease. There is no easy way to prevent this disease. If anyone has a family history with this disease then he or she should be extra careful about the symptoms and inform doctor for immediate diagnosis. A proper diagnosis at the earliest stage may halt the progression of the diseases and also reduce the chances of its recurrence. Researches have shown that Vitamin D helps to relieve the symptoms of arthritis in the psoriatic arthritis, therefore adding Vitamin D in the diet can be a good dietary modification for preventing psoriatic arthritis. According to medical experts, psoriatic arthritis mostly affects people between the ages of 30 and 60, though the condition can appear in older people as well as children.The condition is more frequently seen in Caucasians than other races. 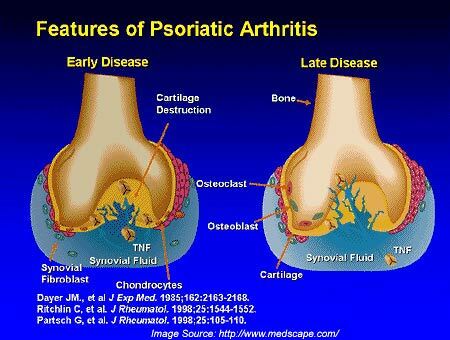 Psoriasis has no specific gestation period before psoriatic arthritis occurs. Psoriatic arthritis can occur with any intensity of psoriasis.